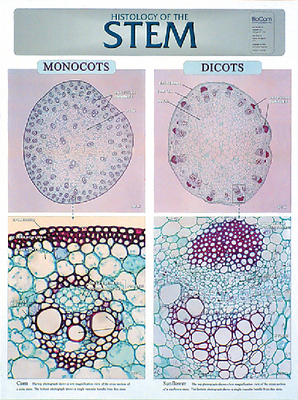 An excellent reference, or study aid for any classroom. 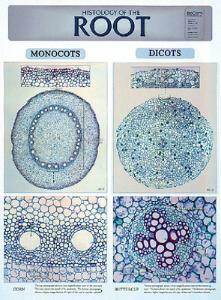 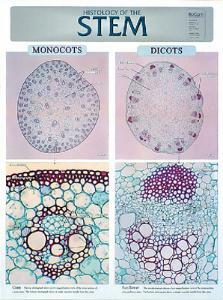 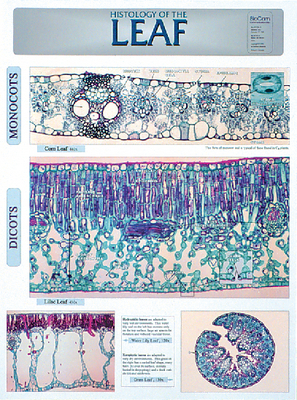 Compare the structure of monocots and dicots with these three plant histology charts. Each has highly detailed and labeled photographs of the most common comparative microscope slides showing botanical structure.